Whether it's to cure a disease or enhance performance, research is always being done on the 13 essential vitamins the body absolutely needs. However, some nutrition experts say it may not be necessary to supplement certain vitamins. Each vitamin has a specific Job to help the body grow and develop. In some studies, research shows vitamins can even help you live longer. In other cases, too much of a particular vitamin can have negative effects. Running- as a regular exercise or activity- may require you to have an extra intake of the nutrients your body needs to preform properly. Lack of certain vitamins can cause runners to experience balance issues, weakness in muscles and bones, and problems with hands and feet. So what vitamins should runners take? 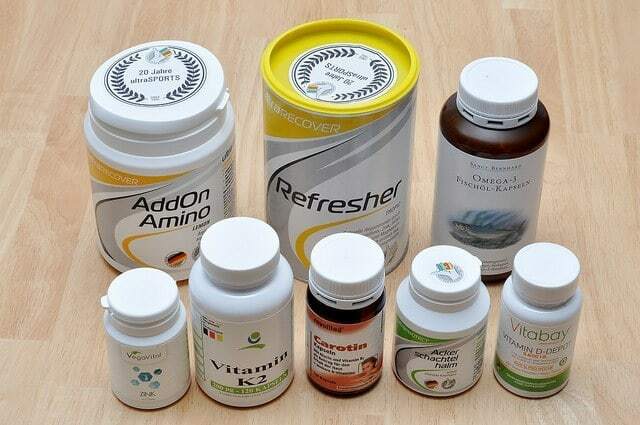 Here is a list of the vitamins every runner should take as part of there health regimen. A couple of reasons to get the right amount of vitamin c is to help protect the body from free radicals- compounds formed when food is converted into energy- and protect the body from diseases like scurvy. Impacting your cardiovascular health is just one of the benefits you can get from Vitamin C. Low levels of vitamin C can also be linked with high BMI and the size of your waist. This study of over 100 men and women, found it more associated with overweight women. With the right amount of vitamin D- almost impossible to get too much- it will allow your bones to absorb the calcium it needs for development. Vitamin D also plays a role in your nerves and muscle movement. The good news is that your body can produce vitamin D with exposure to sunlight. However, staying in the sun for a long period can cause a skin disorder. This vitamin is similar to vitamin C in such a way that it helps protect cells from the damage caused by free radicals. It acts as an antioxidant in the body and widens blood vessels to help prevent clotting. Vitamin E is found in foods that are not consumed in large amounts. Which is why some diets provide less than recommended amount of vitamin E. Research shows healthy people rarely ever show signs that they are not getting enough. There have been studies that suggest, healthy people who self-select for high intakes of vitamin E through diet or supplements, have decreased risks of cardiovascular disease and cancer. Scientists who study the body's use of vitamin K have found that this nutrient is important for healthy bones. While Low levels can increase the chances of uncontrolled bleeding, vitamin K deficiencies are rarely found in adults. In fact, without the proper amount of vitamin k, bones are not able to hold on to the calcium it needs- this can cause calcium to flow to the blood stream and stiffen arteries. There are 8 B complex vitamins that work together help your body through the process of converting food into energy. The body uses these vitamins to help breakdown and release energy from proteins. However, this research report shows "Among all Americans older than 2, less than 2 percent get too little niacin; 2 percent get too little riboflavin; 6 percent get too little thiamin; 7 percent get too little iron; and 11 percent get too little folate." Generally, runners who do not provide the body enough of these vitamin's have experienced issues with balance, fatigue, and problems in hands and feet. Other areas where a vitamin B deficiency can have a negative affects include the eye and brain functions. ​Keep in mind- taking too much can also put your body at risk. Providing your body fuel to burn always starts with a healthy diet. This consumer update about vitamins adds that "the Guidelines for Americans advises that nutrient needs be met primarily through consuming foods, with supplementation suggested for certain sensitive populations." Do you have a vitamin strategy that involves taking more/less of a particular vitamin on our list? Share your thoughts with us and leave them in the comments below.